Where we last left off with Natasha Romanoff. 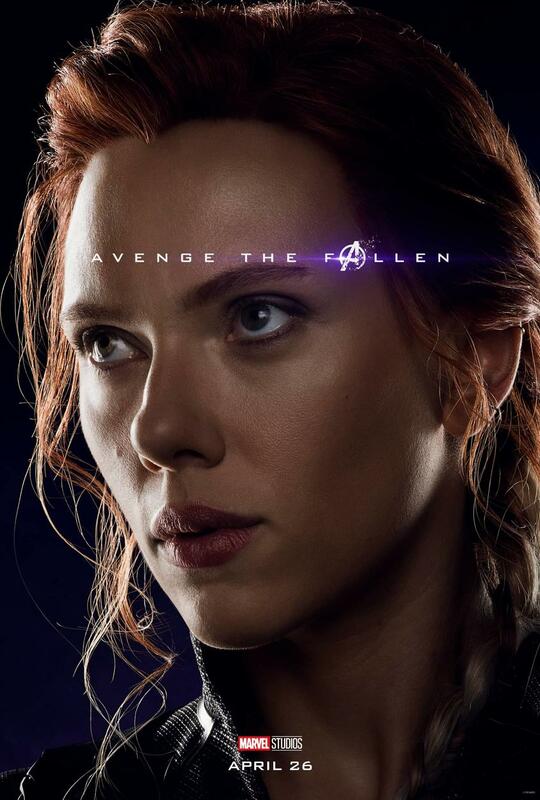 An Avenger with the group since Day One, Natasha Romanoff is having an incredibly difficult time dealing with the events that close out “Avengers: Infinity War.” As we head into the next chapter, “Avengers: Endgame,” it’s easy to see why Black Widow is ready and willing to do whatever it takes. She’s been doing that since the very beginning. Following the event of “Captain America: Civil War,” Natasha has been on the run with Steve Rogers and Sam Wilson as they try to keep everyone (namely Vision and Wanda Maximoff) safe and out of harm’s way. However, things are easier said than done, and after the Black Order arrived on Earth in search of the Mind Stone, she’s forced to come out of the shadows — don’t forget, technically Natasha (along with Captain America and Falcon) is still a criminal on the run following the battle in Germany. But, there’s a bigger battle on the horizon right now. In order to protect Vision from Thanos, Natasha travels with everyone else to Wakanda in hopes of not only protecting him, but destroying the stone before it can be used against them in catastrophic ways. Thanos sends his army to Wakanda, as the Avengers get ready for battle. In what is maybe one of the greatest fights we’ve witnessed on-screen, at one point Black Widow, Okoye, and Scarlet Witch team up to take down Proxima Midnight. While it looks like a battle our heroes might lose, these three ladies are able to defeat her. Talk about girl power. The celebration is short-lived. In the end, Thanos is still able to collect all the Infinity Stones and uses his Infinity Gauntlet to snap half of humanity away. When Natasha realizes this has happened at the end of “Avengers: Infinity War,” she looks like she’s going to be sick. Honestly, same. So when we next see her in “Avengers: Endgame,” it’s obvious that Black Widow is going to keep doing whatever it takes to right what’s been wronged. At the tag at the very end of “Captain Marvel,” we see her frantically trying to figure out the mysterious pager while watching the population numbers dip around the world. In the released trailers, she’s back to her badass usual self, preparing herself to go up against Thanos. And is that a Hawkeye reunion, too? Natasha and Clint Barton have always had a different kind of relationship, and it looks like we’re going to revisit that again. Avengers who hold hands together in the rain, stick together to defeat Thanos.